Michael Hoey hopes he is hitting form just in time as he aims to finally make his mark at the Northern Ireland Open. The five-times winner on the European Tour has been the tournament's ambassador for the last two years but missed the cut on both occasions. However, after reaching the quarter-finals at last week's Paul Lawrie Match Play event, Hoey will head to Galgorm Castle in good spirits. 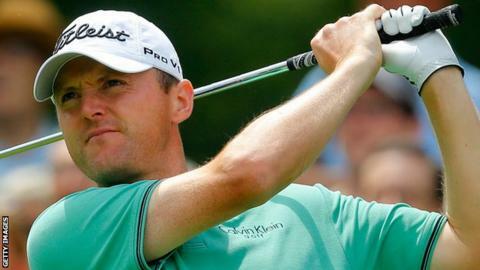 "I am holing a few putts," said the 36-year-old from Belfast. "And I am remembering some shots from a long time ago (2001) when I won the British Amateur." Hoey's run to last eight in Scotland included a thumping 7&6 win over 2010 US Open runner-up Gregory Havret before he lost narrowly in the quarter-finals to eventual winner Kiradech Aphibarnrat. "I didn't expect that - it was good golf," said Hoey of his fine performance against Havret. The entrants for the Northern Ireland Open will include in-form Welshman Rhys Davies plus a large group of main European Tour winners including Irish trio Damien McGrane, Peter Lawrie and Simon Thornton. 2010 Hassan Trophy winner Davies has earned two Challenge Tour wins already this season and a victory at Galgorm would earn him an automatic ticket back to the main tour. "People often say to me, 'how is your tournament going'," added Hoey. "Well, it's not my tournament but that is a nice thing to hear that I am playing a part in it and I would like to think I have helped get support for the event." After his surprise Galgorm struggles over the past two years, Hoey says he does not have any expectations going into this week's event. "I will focus on just making the cut and, if I do that, we will look to push on over the weekend," added Hoey.